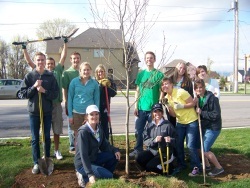 The Tree Commission is looking for volunteers to participate on the committee. We are looking for people who are interested in improving and beautifying our City with trees. We would like to have members that represent all areas of Highland so that we can continue to focus on projects that would benefit the City and its residents. Committee members do not need to have a knowledge of trees, but it would be helpful.